None of us are strangers to table salt. Everytime you eat something, you probably make a remark regarding the amount of salt in the food. Some people may think it is just right, some may find it too salty and some may feel extra salt is required. Our body contains many salts. Table salt (sodium chloride) is a major one making up around 0.4 per cent of the body’s weight at a concentration pretty much equivalent to that in seawater. Somebody has calculated a 50 kg person would have around 200 gm of sodium chloride in his body. That makes around 40 teaspoons. We continually lose salt when we lose water from our body as salt is in a solution. So when we are sweating, vomiting, having diarrhea or voiding water by act of urination, we are losing salt. Salt cannot be made in our body so we have to replenish it otherwise there can be serious consequences. Salt is needed to maintain our blood volume and blood pressure. Sodium is also needed for nerves and muscles to work properly. Low levels of body sodium can make our brain swell and cause confusion. Too much sodium is bad for us as well. Excessive consumption of sodium can increase blood pressure, and that salt is a major determinant of population blood pressure levels. Some research estimates suggest the numbers of deaths averted by moderate reductions in population salt consumption would be at least as many as those achieved by plausible reductions in population smoking rates (CMAJ June 12, 2012). The fast food industry is making its own contribution towards increasing the general population’s salt intake. Fairly large population is relying on fast food industry to provide their daily food needs. Fast food tends to be more energy dense, contain more saturated fat and salt, contain fewer micronutrients and be eaten in larger portions than other foods, says the CMAJ article. Fast food items such as fried potatoes, pizzas and sugar-sweetened soft drinks typically provide between one-third and one-half of daily energy intake but less than one-quarter of most micronutrients. Now what? 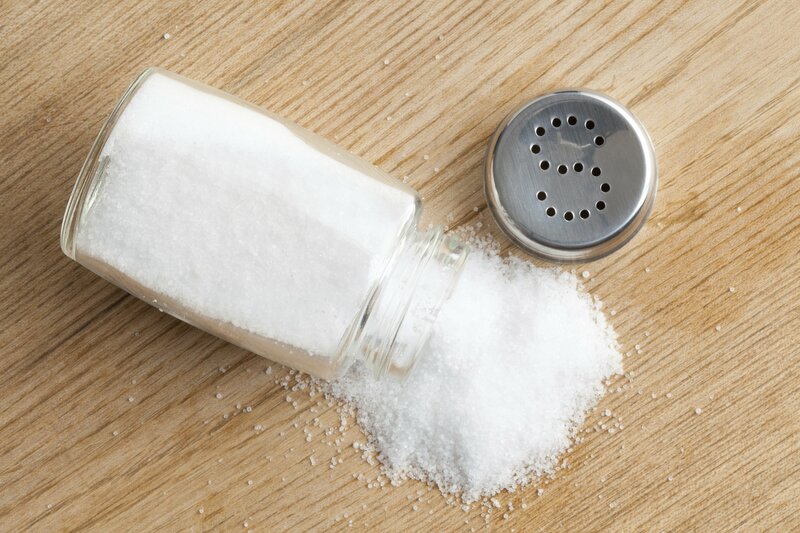 Too much or too little salt in the diet can lead to muscle cramps, dizziness, or electrolyte disturbance, which can cause neurological problems, or death. Generally, more emphasis is given to the evidence showing an association between salt intakes and blood pressure among adults. We also know reduced salt intake results in a small reduction in blood pressure. Evidence suggests that high salt intake causes enlargement of the heart and swelling of the legs. There is a clear scientific evidence that a modest and long term reduction in population salt intake can result in a lower population blood pressure, and a reduction in strokes, heart attacks and heart failure. Then what are we waiting for? Most of us consume more salt than we need. General recommendation is no more than six grams (about one teaspoon) of table salt a day. This includes salt used in cooking and at the table. If you have high blood pressure or heart disease then less than two grams of table salt per day will be helpful. Are you willing to try that? So, how is your food tasting today?